GALVA – Thomas B. 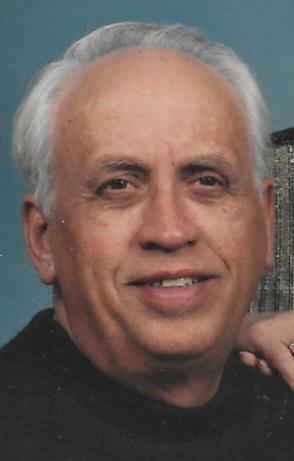 “Tom” Raley, 79, of Galva, died at 5:45 p.m., Sunday, December 2, 2018 at his home. A Mass of Christian Burial will be celebrated at 10:00 a.m., Friday, December 7 at St. John Catholic Church in Galva. Celebrant will be Fr. John Burns. Visitation will be held from 5:00-7:00 p.m., Thursday, December 6 at Rux Funeral Home in Galva with recitation of the rosary at 4:00 p.m. Burial will be in Galva Cemetery. Memorials may be directed to the Henry County Humane Society. He was born April 20, 1939 in Lebanon, KY, the son of Joseph Thomas and Martha Alice (Luckett) Raley. He married Yvonne L. Baker in 1959 in Kewanee and she preceded him in death on March 10, 2018. Survivors include his two children, Peter Raley of Galva and Laurie Beaman of Pocatella, ID, three brothers; Jim (Pat) Raley, Terry (Linda) Raley and Bob (Tracy) Raley, all of Galva, three sisters; Mary Porter of Galva and Sue (Dave) Bolt and Fran Griffin, both of Arizona, four grandchildren; Ronnie Beaman, Tristine David, Jared Cramer and Ross Cramer and seven great grandchildren; Dillon, Caleb, Damien, Trinity, Ginger, Lilija and Ashton. He was also preceded in death by his parents, a sister, Martha Kirk and a nephew, Joe Kirk. Tom graduated from Galva High School in 1957. He had worked at the Galva Foundry, Pearson Brothers, the Galva Coop and River Valley Coop. He was a member of St. John Catholic Church and enjoyed gardening and especially enjoyed spending time with his grandchildren.